Experience living history with us and explore the wonders of Ancient Rome as you walk in the footsteps of Roman emperors, generals and gladiators on this exiting day tour. Rome was the last of the greatest ancient civilizations that had the most profound impact on today's architecture, engineering, politics and entertainment among many others, leaving behind iconic monuments testament to Roman awe-inspiring achievements. 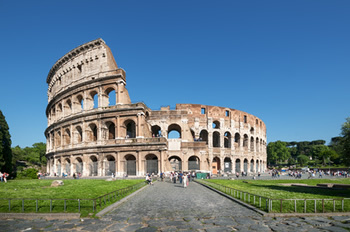 In Ancient Rome Day Tour, you will experience the magnificence of these world famous ancient sites that have endured through the millennium and continue to astonish contemporary architects and engineers, inspire people's imagination and fill you with a sense of timeless civilization. Duration of this daytrip: 4 hours.